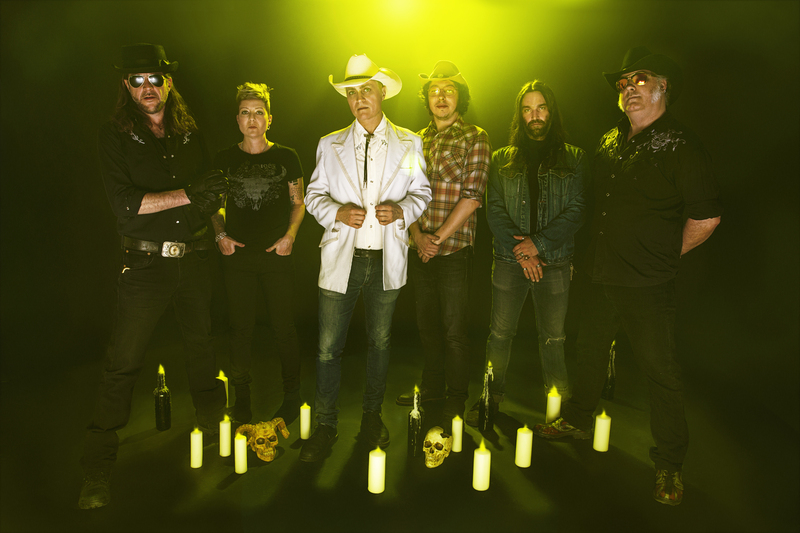 Legendary Canadian rock armada White Cowbell Oklahoma return with their most ambitious album to date. Bolstered by a tight new lineup, Buenas Nachas incorporates a breakneck mix of pulverizing riff-rockers and progressive Tex-Mex rollers. Kosmische motorik musik à la Ennio Morricone (via Jacksonville and San Antonio)? Some might say. Critically-acclaimed earlier WCO releases Cencerro Blanco (2003) and Casa Diablo (2006) drew heavy inspiration from southern/Texas/classic rock traditions, while Bombardero (2009) saw the band entering Space-Prog territory. On Buenas Nachas the band travels further south than ever before, crossing the Nuevo Laredo border without looking back. Countless rock n roll thrills and lurid side-trips ensue. Spirit guide recommended. White Cowbell Oklahoma, featuring new blood from several well-known Toronto bands, rage across Europe and North America through 2012 and 2013. The band is already known for its unprecedented live show -- which often features extended jams, near-riots, plus unorthodox power tool usage . WCO allegedly have many new aces up their sleeves. Bring protection.